Our visual guide helps you find the most useful commands on the Ribbon in Word 2016 for Windows, along with keyboard shortcuts for performing each action. This download accompanies our story Word 2016 cheat sheet. 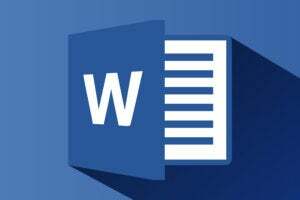 See that article for detailed information on how to get the most out of Word 2016 for Windows. For the most part, Word 2016's Ribbon interface is intuitive to use. It's divided into a series of tabs that group related commands together. Since it's always present at the top of your screen, the Ribbon puts a wealth of commands in easy reach at all times. But with so many tabs and so many commands, it's not always obvious where to go to perform a given action. To help, we've compiled a guide that shows each Ribbon tab, explains what it's for and highlights its most commonly used commands. And for those of you who don't like to take your hands from the keys to point and click, we've included keyboard shortcuts for all the actions. For instance, if you want to insert an image from the web in your document, you'd go to the Insert tab and click the Online Pictures icon in the Illustrations group, or press Alt-N and then F. To set up a page with two columns, you’d go to the Layout tab, click the Columns button in the Page Setup group (or press Alt-P, J) and select the number of columns. Keep this reference guide handy so you'll always know where to find the commands you need.